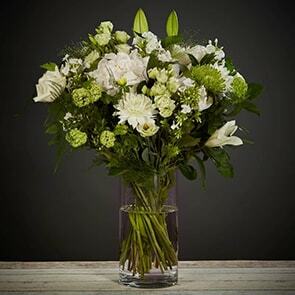 Our flowers are carefully hand-picked and tied into lavish bouquets by our expert florists. Once the bouquets are ready, they are sent out for same-day or next-day delivery depending on region and your chosen date. For Bloom Magic delivery information, read through the information below. Should you have more questions, our friendly and trained staff are here to help with an flower delivery queries you may have, contact us or visit our FAQ’s. Bloom Magic delivers flowers all across Ireland and offers same day delivery in Dublin. For deliveries to the UK, please visit BloomMagicFlowers.co.uk. Bloom Magic flowers are delivered nationwide Monday - Friday, usually any time between the hours of 9am-6pm. We do not currently offer deliveries for exact time periods. Weekend delivery and same-day delivery is only available in the Dublin City area (Dublin Area Codes 1-24). In Dublin, our deliveries are usually made between 11am and 6pm. Please Note: Flower deliveries may be made a little earlier or later than the 9am-6pm time frame during particularly busy seasonal periods like Valentine’s Day and Mother’s Day. Bloom Magic offers next-day or named day delivery anywhere in Ireland for €8. Same-day delivery and weekend delivery to Dublin City, Blackrock, Stillorgan, Dun Laoghaire, Monkstown, and Mount Merrion is €10. Alternatively, you can sign up to become a member of our Gold Club. For the price of €15, you can enjoy free next-day delivery across Ireland. Click here for more information. Place your order before 2:45pm and a one-of- a-kind bouquet will be delivered to anywhere in Ireland the next business day. We are pleased to announce that orders placed before 2:45pm for the City of Dublin, Blackrock, Stillorgan, Dun Laoghaire, and Monkstown will also be delivered the next day. Some occasions just can’t wait a day so we offer same-day delivery to anywhere in Dublin City (Dublin Area Codes 1-24), as well as select number of Dublin counties: Blackrock, Stillorgan, Dun Laoghaire, Monkstown, and Mount Merrion. Place your order before 11am 7 days a week to have beautiful blossom delivered by 6pm the very same day. When your Magic Bloom Blossoms are delivered you will be sent a confirmation email letting you know that your flowers arrived safe and sound. You can also keep an eye on your order from start to finish with Bloom Magic’s Track My Order. All you will need is your email and account password. If you have not registered for an account, please register your own Bloom Magic account here: bloommagicflowers.ie/shopper-registration. Important: We rely on our delivery partners and drivers to let us know when orders have arrived, during busy times there may be a slight time delay between when flowers arrive and when they are recorded in our system as being delivered. We understand that life can be complicated and change happens, if you need to update or edit an order please email support@bloommagic.com, or contact us on live chat as soon as you can and we will do our very best to get things back on track. Important: Changes to a delivery address may delay the delivery. Once an order is in transit it is not possible to make any changes. At Bloom Magic we pride ourselves on growing happy customers, this means everything you order from Bloom Magic is covered by the Bloom Magic quality guarantee, if you are not 100% happy with your order contact us so we can make it right.